Cosmetologists spend a lot of time on their feet treating clients. If your manicures are the envy of your friends, your hair is always perfectly coiffed and you spend hours learning the latest makeup styles, you might consider a career as a cosmetologist, particularly if you like to work your magic on other people. Cosmetologists spend their days making clients happy by helping them look and feel good, which makes it a rewarding job if you’re a friendly, outgoing, people person. You have to pay your dues to be a cosmetologist, and that includes spending up to a year in cosmetology school. Be prepared to take constructive criticism during the learning process. After you've completed school and received a certificate, you need a license to practice from the state you live in. Every state has different licensing regulations that can include taking any combination of written, oral and practical tests. If you tend to have test anxiety, gather some friends or family members and practice answering questions while doing someone's hair and makeup. There's much more to cosmetology than being able to wield a pair of scissors or a makeup brush. You don't have to be a science wiz, but you will need to know some basic anatomy. You'll also learn simple chemistry for mixing hair coloring and other chemical treatments. Cosmetology includes skin care and you may need proficiency with tools used for facials, laser treatments or hair removal. Some cosmetologists offer massage as part of their repertoire. You will likely want to decide if you’re going to offer a full array of personal services as a cosmetologist, or if you want to specialize in a branch such as makeup or skin care. Creativity and flexibility are important aspects of this career. You'll be giving clients a new look, staying on top of styles and trends, and trying to create your own trends to set yourself apart from other cosmetologists, all while adhering to instructions from clients. Time management skills are helpful for ensuring you book clients efficiently. 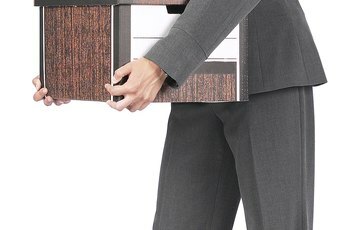 Overbooking can annoy clients and too much time between clients affects your bottom line. The ability to carry a conversation can help put clients at ease, but being perceptive enough to know when someone doesn't want to talk is helpful. Excellent customer service skills are mandatory. Giving clients what they want -- and sometimes what they didn't know they wanted -- is one of the most important parts of the job, but you often need to explain what you're doing. You have to really like people to be a cosmetologist, even when clients are difficult. Staying calm, cool and collected if a client is unhappy with your work is important. Understand that you can't please everyone and it will probably happen at least once. Cultivate tact and patience if you don't already possess them in large quantities. Beauty Schools Directory: Is Beauty School Right for Me? What Is the Work Environment Like for a Hair Stylist? 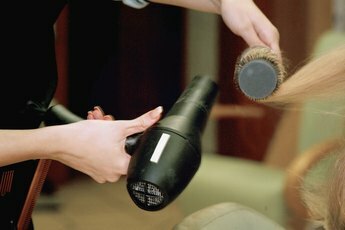 What Is the Job Outlook for a Cosmetologist?